Paul Zak, Director of Claremont Graduate University’s Center for Neuroeconomic Studies, has been awarded a $1.5 million grant to study what happens in the brain when people experience feelings of generosity and compassion. The purpose of the research is to explain the mechanisms of the brain at work during normal economic behavior. Zak will be testing the hypothesis that the actual engine driving the free-market economy is good behavior and trust rather than self-interest alone. He will be building on earlier work in which he determined that an accurate barometer of the economic health of a nation is the level of trust in the country between people, especially strangers. Countries with higher levels of trust do better economically than countries with low levels. Which will lead Ted to his “fight or flight” self-preservation response, and this being a large bull, will result in flight if he’s smart. Only when he’s safely away will his emotions calm down. 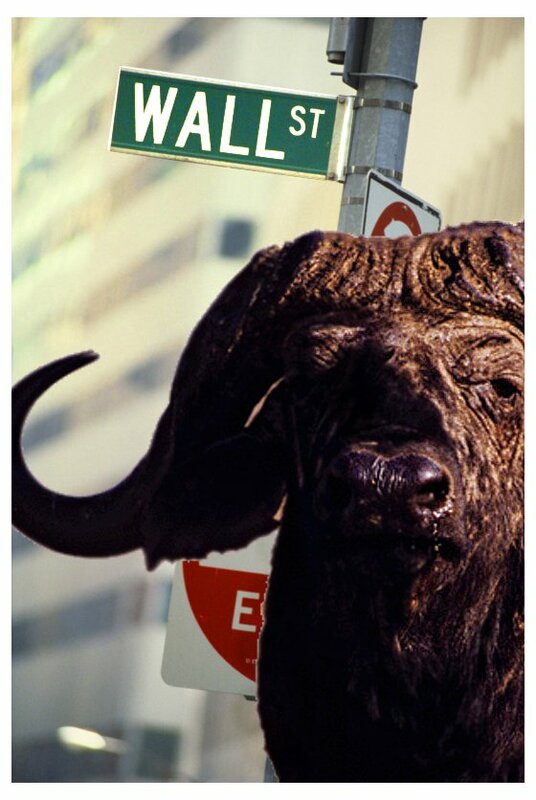 And only then will he begin to think rationally about why exactly a bull is loose on Wall Street. Point? All three of Ted’s s systems have been involved – drives and needs (self-preservation), emotions (fear) and cognitive thought (wonder what that bull is doing here). In this situation they worked together pretty seamlessly – and pretty correctly given the circumstances. The rub comes when the three are not working well together. When one of the components is out of balance. Or an emotion unsuitable for the occasion dominates. Or a thought process comes to erroneous conclusions based on incorrect interpretation of . . . and the list goes on. As we move forward from what has been an introductory series of posts for this site I just want to reiterate a couple of goals here. Sharing techniques for helping us more effectively manage three areas of brain functioning that go to the core of who we are and how we respond to the world around us. Highlighting evolving news, research and tools that can help us do number one above. Establishing a forum and community where others can share some of the same. Out of it perhaps we can come to know ourselves a bit better as well as live and work together a little more effectively with those around us. Conventional wisdom has held that putting our feelings into words helps us feel better. A recent study at UCLA’s Ahmanson-Lovelace Brain Mapping Center may indicate part of the reason why. Verbalizing feelings was shown to activate a portion of the prefrontal cortex (right ventrolateral to be precise), bringing about a subsequent reduction in response from the amygdala, the brain’s alarm system. Similar to applying the brakes to a car, verbalizing our negative feelings may make them feel less intense. The benefit – it gives us a bit more control over the semi-chaos that often characterize our emotional responses. In the words of Ted, thought trumps emotion in this case. Lumosity and tools like it exercise the brain in the way it thinks. Think faster. Think more holistically. Like fine-tuning a car engine – it just runs more smoothly when it’s tuned. All of these cognition-specific tools help us think better and of course are pretty useful. However, we both think and feel. Our brain is very specifically wired to express both. To develop only the one aspect is akin to running a car on only one cylinder. And it invites an unbalanced perception of the world. Tools that assist in managing our emotionality form the second great subset of useful tools available to us. A couple of things to remember about emotion – it responds quickly. Really quickly. We’ve all seen the flash of instantaneous anger that quickly changes hours of careful collaborative thinking in a team setting. The rest of the team must deal just as quickly with their own emotional responses. Lucid thinking flies out the window – though with practice, only briefly. A second fundamental aspect of emotion is that it can be managed – and there are any number of good techniques for doing so. And because it is emotion that we’re discussing after all, there has been about as much emotional reaction as rational discussion on the matter – which just goes to show how intensely we feel. Both cognition and emotion play a significant role in the formation and expression of who we are – which means that both have a significant impact on our relationships with others. Both can be managed to give us more rewarding results from our interactions with those around us – and that’s the bottom line. Looking for a simple program to exercise your brain? San Francisco-based firm, Lumos Labs, Inc. has launched a new Web service called Lumosity. In their words – “Lumosity is the brain fitness program designed by neuroscientists that is scientifically demonstrated to improve your memory, attention and processing speed.” A series of simple online sessions of some three to five games each allow users to exercise four differing areas of brain function. Use it or lose it as the old adage goes. So here’s a potential way to improve the brain that you have. And for those other types of self-improvement efforts that you may be contemplating, why not start them with the best brain possible? For more details you can check out www.lumosity.com. I’ll be going through the exercises and will post my own experiences. The Box is only sand . . .
I’ve used a term over the years – “playing in the sandbox.” It’s not original of course. But it has been useful to illustrate a couple of important concepts. The most obvious is the sandbox as metaphor for life – how well we get along with those around us at work, at home or in our communities. It’s all about social skills to use a more sterile term. The second has to do with our views about the world. It’s the box in which we live and through which we see everything around us. Each of us has one of these “mental models” – and they’re all different. The point is that our box, for all its apparent solidity, is only made of sand. It’s changeable. Working well together. Playing well together. Making allowances for differences in how we each see the world. Being the best that we can individually and collectively be. That’s the gist of the sandBox.